People going in and out, stopping in wonder, browsing through the shelves, chatting or celebrating the silence – this is how it looks like here every day. There are works by Walter Scott or Leo Tolstoy waiting to be read again. There is art, feminism, travel, and sport books ready to be picked up. People from all walks of life are drawn to this place. No wonder. It’s magical. You may ask ‘What are you doing here’? I’m being lucky, I answer. I’m having a great pleasure working for Jennie Renton, the owner of Main Point Books, which is an independent bookshop. As it happens, Jennie is also a founder of Textualities.net, a website dedicated to books and writing, and a freelancer involved in production, editorial and publicity activities. When imaging my placement I thought of someone passionate and knowledgeable about publishing who would show me their craft. And this is exactly who Jennie is. However, I also pictured this person as someone working in a formal, modern, spacious office full of Macs and other technologically-advanced devices. I couldn’t be more wrong when it turned out to be a lovely bookshop, with a friendly atmosphere and hi-tech gadgets kept to minimum. I prefer this cosiness much more to a typical office environment. My placement is a basket full of development opportunities. One day I work on internal page design for a football book that is just about to be published. InDesign, action! Another day I find myself helping out with the biggest purchase ever made in the shop by one of the top hotels in Edinburgh stocking up their Scottish-themed library. But that is not all. There is also the production side to my placement when I oversee the progress of publication of Edinburgh Review, a literary magazine released three times a year by the University of Edinburgh. The quality of work of both well-known and unknown writers is outstanding. My job is to design the internal pages of the magazine. One busy afternoon I also have a chance to uncover the complex process of copy-editing. All these activities create a unique opportunity to discover and learn different aspects of publishing business. I’m never bored here. How can I be if there are so many interesting tasks to complete? I work in various locations: Jennie’s shop, Edinburgh Review’s office, the Napier University campuses, which adds to the general excitement of my placement. Before I started this unforgettable journey through joys and challenges of a freelancer’s work I had not expected to be involved in so many activities. They truly allowed me to get a taste of a real-life ups and downs of working in the industry. 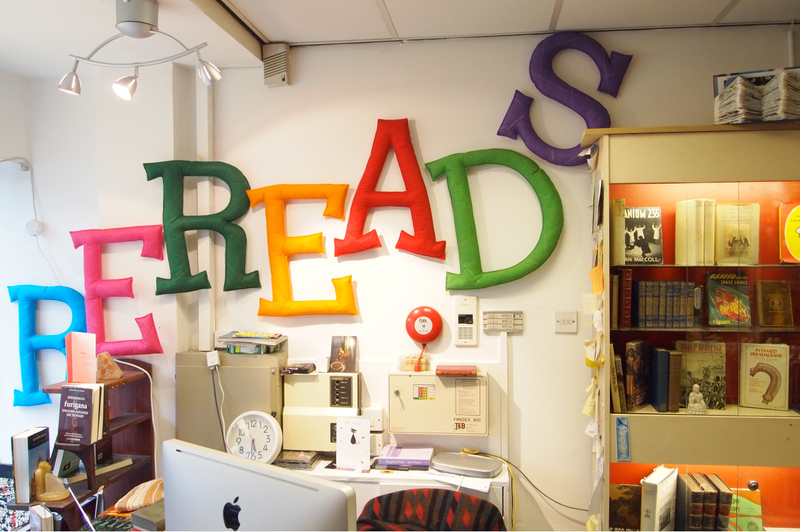 If you feel like having a good read and an enjoyable conversation get up and pop in to this superb bookshop at 77 Bread Street, Edinburgh, EH3 9AH or get yourself a cup of tea and enter the online world of literature at http://textualities.net/.